Alfred Budde was born on 26 November 1922. Budde was serving with JG 54, based on the Eastern front, in January 1944. 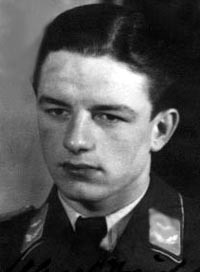 Leutnant Budde was assigned to 12./JG 54 fulfilling the role of Staffelführer. He recorded his first victory on 24 January, when he shot down a Russian Il-2 Sturmovik ground-attack aircraft. In late July 1944, Budde transferred to 11./JG 54. He claimed two Russian Yak-11 fighters shot down on 10 August to record his ninth and 10th victories. In August 1944, 11./JG 54 was redesignated 14./JG 54. Budde claimed three Russian aircraft shot down on 25 August (14-16). On 26 August, Budde was appointed Staffelkapitan of 14./JG 54, replacing Oberleutnant Horst Hartrampf (37 victories, DK-G) who had been shot down and killed in aerial combat. Budde claimed his 20th victory on 25 September, when he shot down B-25 twin-engine bomber. He recorded a USAAF P-47 fighter shot down on 18 December as his only victory recorded over the Western front.  On 27 December 1944, Budde was involved in aerial combat with RAF Spitfires over the Schnee Eifel. His Fw 190 A-8 (W.Nr. 171 002) “Black 10” suffered structural failure of the wings and he was killed in the resulting crash. Alfred Budde was credited with 21 victories. He recorded one victories over the Western front. Of his 20 victories recorded over the Eastern front, three were Il-2 Sturmovik ground-attack aircraft.